Just like all other phones, The Samsung Galaxy S9 smartphone comes with its personal default sounds. These days, all Samsung devices has its own unique keyboard sounds. They might not be cool to hear, but they are aptly serviceable all the same, so it will not be wise for Samsung to dwell on customizing the keyboard sounds for every phone, if it is not broke, why should they attempt to fix it? 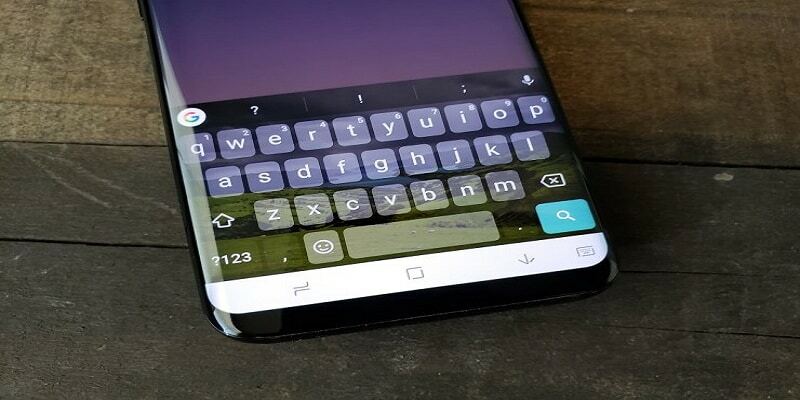 That said, you might fancy a change of your Samsung Galaxy S9’s keyboard sounds to something you will love to hear as you make use of the device. Several Samsung smartphones owners change their keyboard tones so you will not be the first or last to want that for your device as well. If you do not fancy hearing any keyboard sounds at all and want it all gone completely, it can be disabled altogether too. This is doable, i am here to tell you how. In this tutorial, we will not just reveal how to disable the keyboard sounds, but also where to go on your phone if you are searching for these keyboard sounds. Power on your Samsung Galaxy S9 smartphone. Drag down the notification area by swiping down from the top of your screen. Click the gear-shaped Settings icon in the upper right corner of your Samsung Galaxy S9’s screen. Click on Sounds and Vibration. Access the Keyboard Sound item from the list visible to you. Toggle the switch to OFF, instead of ON. Like you can see from the instructions above, the way you can disable the keyboard sounds is not just straightforward but also very uncomplicated to do. Samsung do not make their phones’ default sounds difficult for you to make a change. Its one of the reasons users fancy the brand. Share this information with your friends so they are not left in the dark about this. Samsung has a stand-out biometric authentication feature that requires facial recognition and iris scanning. Named Intelligent Scan, this feature is quicker than the regular face unlock or iris scanning, and it also authenticates your facial features in low-light conditions. Having said that, Samsung recently mentioned that iris scanning is more secure than Intelligent Scan. The company also revealed that the Intelligent Scan cannot be used with Samsung Pay. This feature is designed to support the fingerprint scanner at the back, not push it is aside. To do this, Head to Settings, Lock screen and security and then Intelligent Scan. Adhere to the prompt to set up the biometric authentication service.